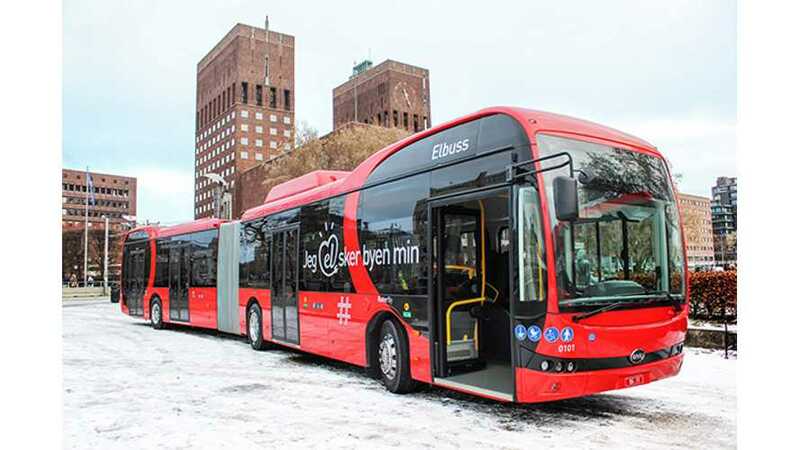 BYD delivered its first 18-meter articulated electric buses in Europe for Nobina in Oslo, Norway. The first two vehicles are running on route 31 and 31E, Norway’s heaviest duty routes - carrying approximately 15 million customers a year and approximately 50,000 daily travelers. The BYD buses are equipped with large battery packs for all-day service, and overnight charging at the depot. While at the same time, other manufacturers seem to prefer opportunity charging via pantographs and street facilities. The Chinese manufacturer didn't release bus specs, but several runs through the day must mean a few hundred kilometers of range (at least 200-300 km). "The articulated ebuses running on Line 31 and Line 31E operate between Grorud and Tonsenhagen, a distance of 17 to 24 km." “We look forward to gaining valuable experience with these climate-friendly and quiet buses. Line 31 is the first route to try such a concept in Norway. In Nobina, we are very pleased to be able to help drive the switch to green buses in Oslo in cooperation with Ruter. This is an innovative contribution to our service in Oslo”. “We showed off our articulated ebus concept more than two years ago and we are delighted to see it enter passenger-carrying service. 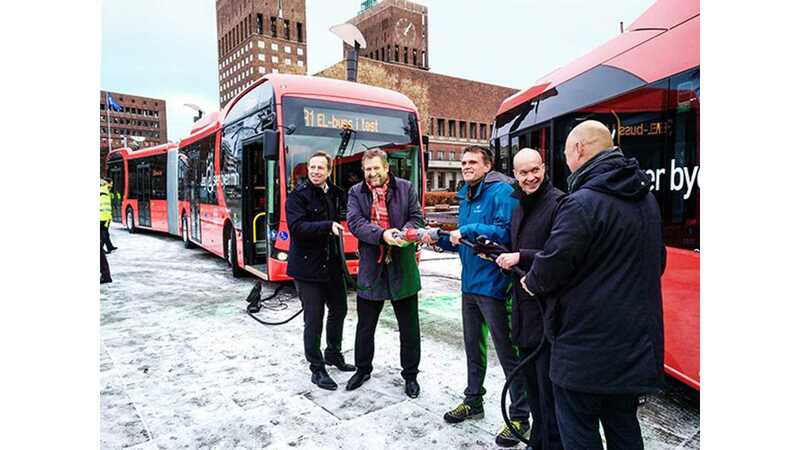 Conditions in Oslo are challenging for electric vehicles but we have every confidence that our ebuses will perform well in this heavily trafficked route even in the deep cold of the Norwegian winter”.